Isn’t it just annoying to have pimples underneath your glorious beard? It is not only gross, it can be painful as well. Pimples growing under your beard have different causes. 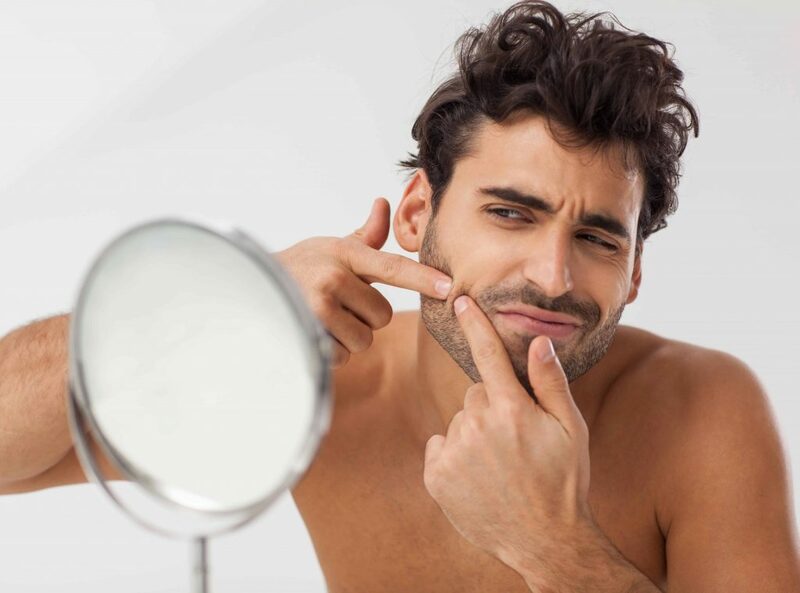 It can be due to the skin’s reaction to growing a beard, ingrown hairs, shaving against the direction of growth and having poor hygiene and grooming. Most of the time, the main cause is poor hygiene. Some men do not know how to take good care of their beards allowing dirt and bacteria to accumulate on their beards and this leads to puss-filled pimples and acne cysts. Fortunately, there are simple solutions you can apply to solve your pimple problem. Follow the steps below and see the pain, redness, and bumps go away. When the sebum-producing glands are covered with dirt or any foreign substance, they form acne. So, it is recommended to exfoliate your facial skin and beard two to three times a week to remove dead skin and dislodge the dirt stuck in there. Exfoliation also helps reduce the chances of ingrown hairs and it rejuvenates the skin which leads to a healthier beard. Do not forget to wash your beard twice a day with a facial cleanser or specially formulated beard soap or tea tree beard shampoo. Washing will reduce the pimple-causing bacteria living in your skin and beard and will prevent facial pores from becoming clogged with dirt and oils. Make sure you moisturize after every wash and switch pillowcases every few days to avoid transference at night. Combing your beard hair helps get rid of dirt and other impurities that have clung to it. Regular combing can also help decrease acne breakouts by keeping the dirty and oily ends from curling back towards the skin. Just make sure to use beard combs that are made of natural materials like wood as wooden combs also help tune up the sebaceous glands that naturally moisturize your beard and skin. Dealing with pimples under your beard can be a pain but when you incorporate maintenance and grooming routines into your system, you won’t be bothered with pimples as much as before. It also pays to have a healthy diet and lifestyle to nourish the skin and to help decrease any skin inflammation like acne. And if these tips will not work for you, it is better to consult your dermatologist for some professional help. « Can You Use Hair Conditioner For Your Beard?